Candidate of the All Progressives Congress (APC) for Osun East Senatorial District, Engr. Isreal Ajibola Famurewa has described the Nigerian Vice President, Prof. Yemi Osinbajo as a true mam of God. Reacting to the survival of Osinbajo, the Vice Presidential candidate of the ruling All Progressive Congress (APC), from a helicopter crash in Kabba, Kogi State on Saturday, Famurewa said that God has shown Nigerians that the VP truly serves him. 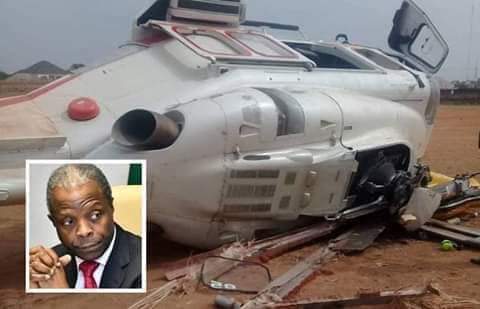 Therefore, Famurewa joined other well meaning Nigerians in congratulating Osinbajo for the survival saying that it was a call for more prayers by Nigerians. The Senatorial Candidate asked the Vice President to ignore those who try to tarnish his calling and ministry as pastor saying this incident has proved his critics wrong. Rather, he charged VP Osinbajo to ensure that more dividends of democracy get to Nigerians once they re-elect him and President Muhammadu Buhari to power. Famurewa also expressed assurance of winning the forthcoming poll in his Senatorial district.